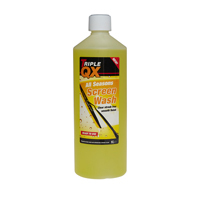 Keeping your car contentped up with screenwash is an essential part of ensuring your visibility remains clear when driving. 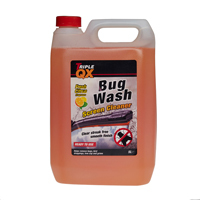 Make car maintenance easy with a ready-mixed screenwash from Euro Car Parts – browse our full range below today. 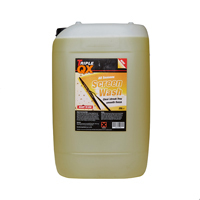 Whether it’s a dusty day, there’s dirt on your screen or you simply need to ensure your view is as clear as it can be, screenwash is a vital part of driver safety. 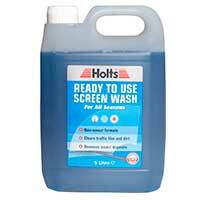 Make sure your windscreen is clean, allowing you to see the road ahead, other drivers and pedestrians with a ready-mixed screenwash from Euro Car Parts. Our range of pre-mixed screenwashes mean you can simply content up your motor and go - there’s no need to create the solution yourself.  We stock a variety of brands such as Triple QX and Prestone, so you can find the brand you love, at a price you’ll love even more. We offer both a free click and collect service, and free UK delivery with the majority of our products, so maintaining your car has never been simpler or quicker. Browse the full range below, and don’t hesitate to get in touch with us should you have any queries about our range.